My friend (and ultrarunner) Shannon recently urged his friends on FB to get and use a Road ID. It was something I'd been thinking about - and putting off - for quite some time. I went ahead and ordered one and have to say I was surprised by how affordable and great this product is! No, they are not a sponsor or giving me a deal, but I did want to share my experience in case you are putting off getting something like this thinking it would be expensive or uncomfortable because it is neither of those. It's affordable, comfortable, and pretty cool! I went with the Road ID Slim ($15.99). 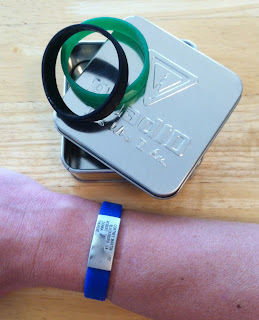 In this version, the metal ID portion comes on a stretchy band - those rubbery bands that are so ubiquitous these days. What's nice is you buy the bands in the size that fits because no one wants a loose dangly bracelet during workouts. They show how to use a dollar bill to figure out your wrist size. I ordered a small and two additional bands for only $1 each. The website suggests what info to put on there, and I went with name, hometown, birth year, and the names and phone numbers of three emergency contacts. You can also get the interactive version where someone can call a 1-800 number and get all kinds of emergency information. The engraving is amazingly crisp and readable. They can fit a lot into a small area. I've ended up leaving this bracelet on all the time. 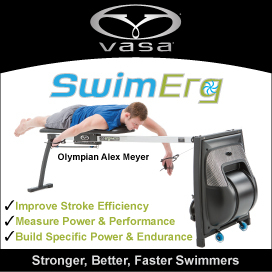 It doesn't bother me and it seems like a good idea to have it for swimming, cycling, the gym, whatever. I could get run over by a flock (?) of wild alpacas, so who knows when it would come in handy? So please, be sure you are running and cycling with some kind of ID on you! 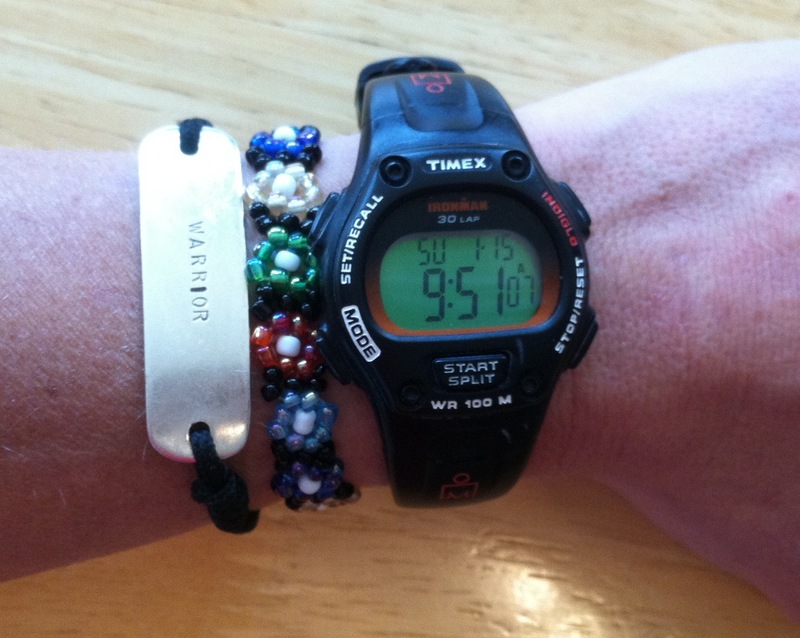 Incidentally, this is what is always on the other arm: the Timex IM watch that is necessary for intervals in the pool; my Warrior bracelet that reminds me to be tough (it's on a black shoelace, stylish, eh? ); and my stretchy flower bead bracelet that I found for $1.25 and just love. Definitely not a girly girl and definitely not a big spender! !